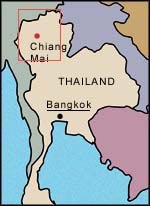 Chiang Mai city is located right in the heart of Northern Thailand, making it a a very convenient base for exploring the whole of the region. 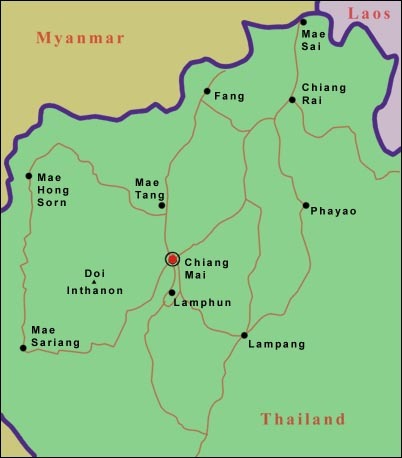 Chiang Mai in Action Tour and Travel Services offers pre-planned and custom trips throughout both Chiang Mai and surrounding Provinces, including Chiang Rai, Lamphun and Mae Hong Son. The map below shows the main area we cover, with important roads and major towns marked. Click on specific areas for more details.